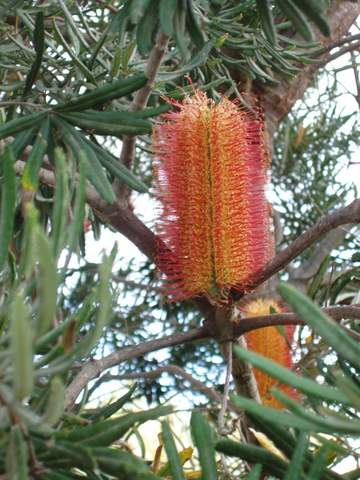 Large tree native to south-west Western Australia. Deep green leaves with white under-surface and golden or red (rare) terminal flowers. Hardy and fast growing for well-drained soils in full sun or partial shade conditions. Handsome tree for public gardens and parks. Timber used in carpentry. Excellent fast growing street tree.